While I am an enthusiastic advocate of exercise, I am sometimes keen to dispel the idea that it helps the ‘pounds drop off’. Actually, the bulk of the evidence does not support exercise as a particularly effective tool for weight loss. Somehow, I think people are wising up to this now. For instance, I’ve had two conversations this week with individuals about the relative importance of diet and exercise in weight loss. Neither of them have a special interest in the area, but both of them spontaneously expressed the opinion that its ‘80 per cent diet’. There are actually a few plausible mechanisms that may help to explain why exercise generally induces only modest weight losses, if any at all. One is that, generally speaking, exercise does not burn calories at a phenomenal rate. A run of 45 minutes may burn 350 calories over and above those that would be burned otherwise, but there’s about 3,500 calories in a pound of fat. So, theoretically, someone would have to get through ten, 45-minute runs to lose a pound of fat. Of course, things are not always this simple. One reason concerns the fact that when people exercise more, they may eat more too. This could be because they’re hungrier, though sometimes it’s perhaps related to someone ‘rewarding’ themselves, or just feeling they can get away with some more calories because of the exercise they took earlier. The heightened hunger that can come as a result of exercise does not happen to everyone, but my experience tells me it tends to be more common in individuals who engage in relatively prolonged exercise such as extended running or cycling. 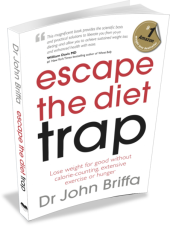 In my book Escape the Diet Trap I made the observation that ‘high intensity intermittent exercise’ (short, intense bursts of activity interspersed with longer periods of rest) tended not to make people hungrier. Now, recently, a study was published which lends at least some support to these observations. After each condition, the men were fed a meal with a set number of calories. 70 minutes later, they were given access to food that they could eat freely. Food intake and activity levels were monitored on the day of each experiment and the following day (a total of 38 hours). Interestingly, the intakes of the test meal 70 minutes after conditions 2 and 3 were lower than that when no exercise was taken (condition 4). Also, energy intake over 38 was lower after condition 3 than after conditions 1 and 4. Interestingly, I think, after condition 4, levels of the appetite-stimulating hormone ghrelin were lower, and blood sugar levels higher, than after the other conditions. Levels of lactate were also higher, and there is some evidence that lactate suppresses appetite . This study was short, in that each condition was only tested once. However, there is at least some evidence here to support the idea that high-intensity exercise not only may not stimulate the appetite, but might even suppress it. Doctors can help you get back on your statins, but does this help you? i find that a brisk walk before dinner lowers my appetite, by gently raising body temperature and apparently releasing fatty acids for burning … but i’m a keto-adapted low-carber. it’s doubtful i’m fueling much of my exercise with glycogen. What u mean to say Is hard intervals make one feel as sick as a dog therefore not hungry ha ha. Seriously , I agree , ask any my bike rider what they feel like eating after z steady three hour ride / answer / A Horse ! I have come to the same conclusion from personal experience. I cycled a 40 mile round trip to work each day and run a few marathons a couple of years back. During this endurance phase of training I actually put weight on. On reflection the simple reason is just as the research above found. I would eat more after training to refuel. I also lost a fair amount of muscle mass as i was a competitive powerlifter before and i’m sure this lowered my metabolism in some way and gave me a less toned look. I now train with Kettlbebells for intense 20 minute sessions just three times a week and my body fat has dropped again. Although I’ve found short sharp exercises sessions more effective I still think long walks are great for weight control and health. I don’t get the same need to refuel as with a run and there is nothing like the fresh air to make to make you feel good. I’ve put a link to a blog on kettlebells below. Scroll down to the bottom for some videos which give suggestions and a demo of high intensity workouts that have helped me. Do you mean after conditions 2 and 3? Me, and my clients, often do not eat after evening training sessions. Often this is because the HIIT aspects bring us close to nausea, so food is last thing on our minds. Flaking out in bed is a much easier option! Certainly I agree with the 80-95% diet = weight management, and only advocate exercise as a route to ability, mobility and health, not weight loss. This approach is heretical of course, but most customers think their new found fitness lifestyle, as espoused by marketers, is a sustainable thing. Unfortunately for the majority it isn’t. Yes, Nancy, that’s right – have corrected it now. Thanks. Yes I agree, I run and do triathlons and have found that after a race, I’m not interested in food – and the harder I have run the more this is so. However lower intensity training runs, marathon long runs and long steady bike rides do make me very hungry. 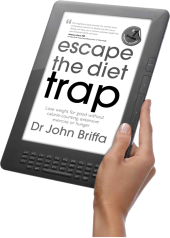 I think a lot of people have been hoodwinked by the diet and exercise industry that exercise will make you thin therefore they eat more when they start training; I was guilty of this too, it has taken me some time to conclude that it’s roughly 80% diet, as suggested. I’ve been a PT over the last three decades and I’ve trained many clients. Those wishing to lose body fat haven’t achieved their fat loss success by focusing on cardio exercise. I see many people trudging along the streets in the vain hope that they’ll lose weight. Those you see at the head of a marathon are naturally slim and built for running. Those at the back, may be fit, but will be the same weight as they started, even with all those miles of training. I’ve just introduced a online program of 9 minutes daily exercise, split into one upper body,one lower body and one core exercise, each for 3 minutes. The participant does six rounds of 20 second high intensity interval workouts per muscle group, with a 10 second rest in between. This amounts to an hour a week of resistance training. The results, so far, have been impressive. This marriage of short, high intensity bursts of exercise and a diet low in good carbs (non-starchy vegetables), medium protein and high (good) fats is the quickest way to fat loss. 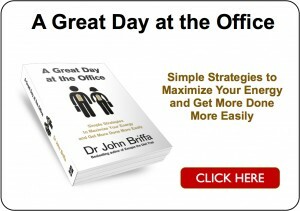 The only extra advice I give to clients is to stand as much as possible and walk at a relaxed pace. Since methods for measuring and/or estimating VO2 Max vary widely, knowledge of the method used in this study would be useful. Its amazing that great precision is used in the studies VHI procedure w/o being clear on method of determining V02 Max. This study matches my observations on exercise and weight loss. Exercise does have some proven health benefits such as improving metabolic markers, decreasing insulin resistance and improving lipids. 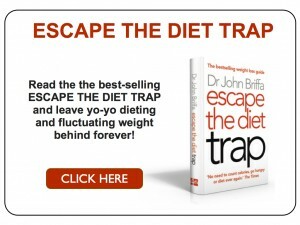 I agree that it is not a great weight loss tool by itself. I do think exercise can indirectly increase fat loss (not necessarily weight loss) because it helps improve brain function, possibly by increasing levels of BDNF. I agree with Stephen Guyenet that the brain plays a key role in auto-regulating fat stores so when it comes to having an optimal body composition, you want your brain in the game. Exercise is a good way to keep your brain humming along. In a world where any Phd student can have his pet epidemiology project published on the front page of a national newspaper, it always fascinates me that no post-grad student has published an epidemiological study claiming that exercise makes people fat. One only has to take an early morning drive in the car to spot lots of overweight people pounding the pavements. An epidemiological study might conclude that as most joggers are fat, then jogging is the cause of fatness. Okay, this is a slightly facetious observation, but why do we allow other epidemiological observations to form health policiy? We do have ‘official government advise’ that we should exercise so many minutes a day which appears to have no basis in fact. It would appear that our government has concluded that because athletes are thin, then athletics makes one thin rather the more intellectual observation that naturally thin people are more likely to make good athletes. Leave a Reply to Paul Click here to cancel reply.